If you read my post on Pasta with Beets and Spring Onions, then you’re well aware of my fondness for Laurie Colwin, and how much I love her books. They have been an absolute inspiration to me over the years; not because Laurie is such an accomplished, sophisticated cook, but perhaps because the opposite is so true. Laurie was a writer (she died in 1992) who loved to cook. She was (and continues to be) a constant reminder of what it is that draws me into the kitchen and how important it is to cook simply, with love and a sense of humor. 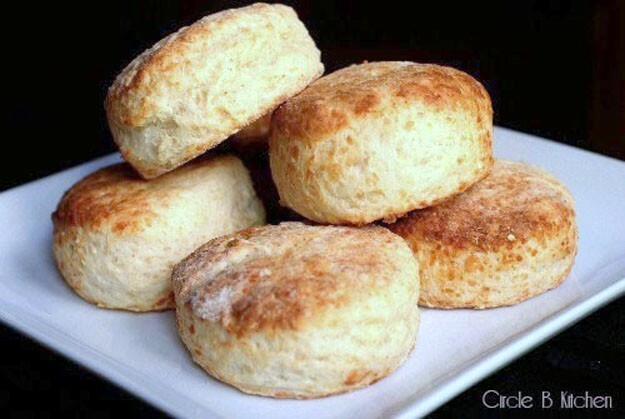 These biscuits are one of my favorite of her recipes. I’m not sure why, but it seems that perhaps they embody the idea that good home-cooked food should not only taste good, but in some simple way, also warm the heart and make us smile. 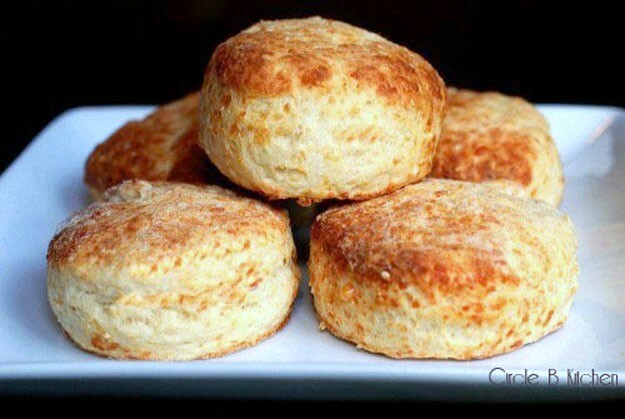 These are hands down our favorite biscuits here in the Circle B Kitchen. I make them ALL of the time. They're our favorite and for good reason... lots of flavor, great texture, and they come together in minutes. 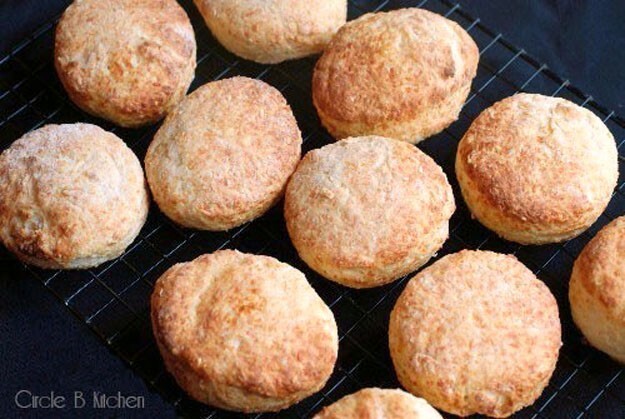 If you think you can't make biscuits, think again. It doesn't get much easier than this. I've gotta say that you may never meet a more perfect biscuit. Whisk together the flour, baking powder, salt and the cayenne, if using. Cut in the butter until it creates little pebbles in the flour (food processor works great for this). Add the cheese and sesame seeds and then stir in the buttermilk. Stir until the mixture forms a dough and then knead 6 times on a floured board. Pat the dough out to about 1/2 - 3/4 inch thick, and cut using a 2 -inch biscuit cutter. Arrange the biscuits in 2 8 or 9-inch cake pans, sprayed with nonstick cooking spray. Cast iron skillets work great for this too.